As mentioned before, we’ve recently been hard at work developing the next update for Staxel but we haven’t actually spoken that much about it. We did briefly mention some of the planned features for this update in the last issue of the Reporter, so if you haven’t read it be sure to check that out here. 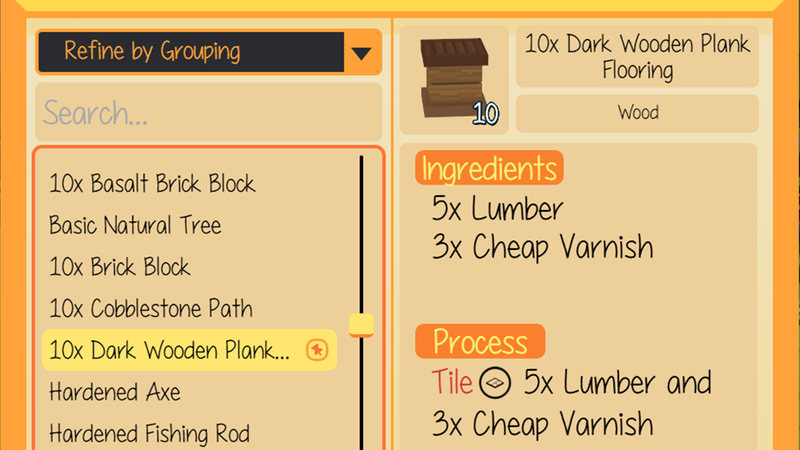 Players will be able to travel from the main island to some smaller islands, each with their own particular uses and designs and which will provide the player with specific rewards such as materials for crafting. We’re a good way through the first island, so let’s take a little peek at what it looks like below. Only one part of the island will be accessible to start with. This will lead you to the first level of the mines where you’ll begin to explore the branching caverns and underground lakes. There’s a lot to discover down here, so keep your eyes open, you never know what might find! One very important aspect of the mines is gathering. Down here you’ll find ore which isn’t available on the main island. 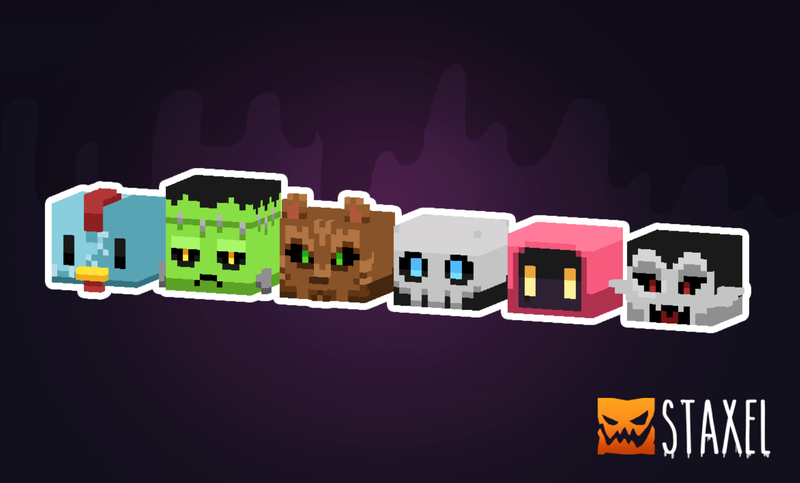 You’ll be able to use these ores to upgrade your tools! Upgrading your tools can have a big impact on your workflow, making you much more efficient during your day to day chores, leaving you more time to relax… or to expand your farming empire. 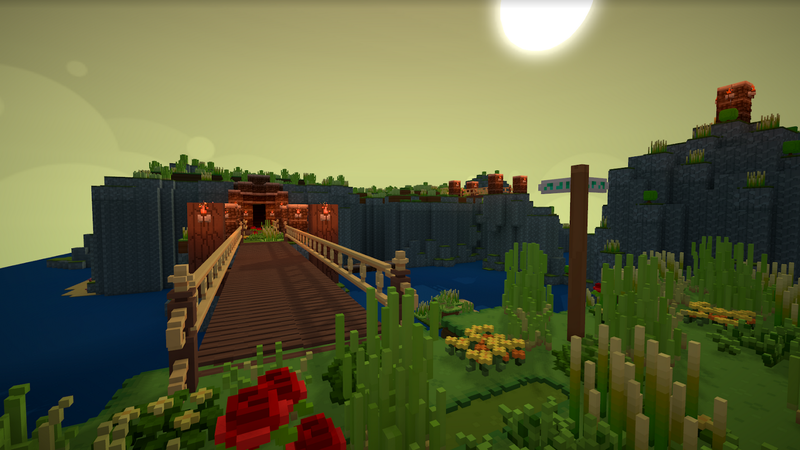 The key to the mining island is to keep exploring, but do try not to get lost. It’s easy to get carried away when you see shiny things in the distance so keep your wits about you and you’ll be just fine. With that said, I’m not going to share any more secrets for now, you’re going to have to go in and discover the rest for yourself! 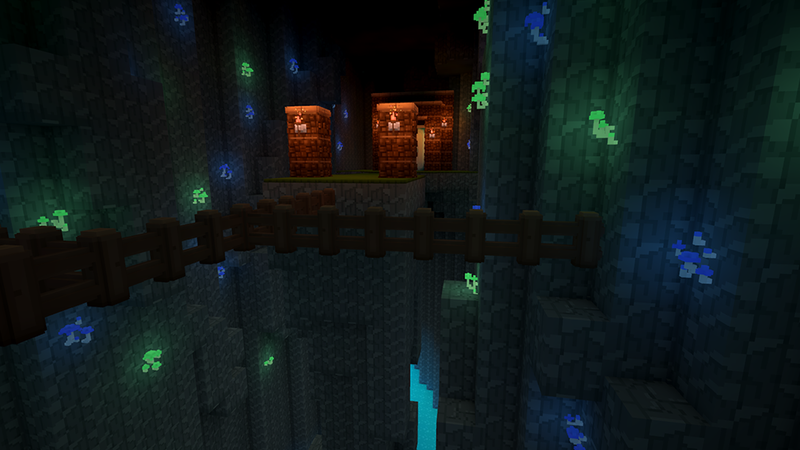 We hope you’ve enjoyed this little sneak peak of the mines. We’ll be revealing more details about the different islands you’ll be able to visit (as well as some other new features we’re working on) in upcoming issues of the Staxel Reporter. Remember to keep an eye on our social media pages, or better yet, join our Discord community to participate in some active discussion about the upcoming content! Take care everyone, until next time! It’s that time of year again, and with the January now underway we’ll be picking up development again this week. We just want to take this opportunity to wish each and every one of you wonderful community members a Happy New Year! Thank you all for making the past year such an exciting and rewarding experience for us and we promise that there’s plenty more to come! Seeing as we’re all reminiscing about what we’ve achieved in the last year, and thinking about our plans for the year ahead, I thought it’d be a good time to have a look at these things for Staxel. Firstly, a little look back at what we’ve got done. 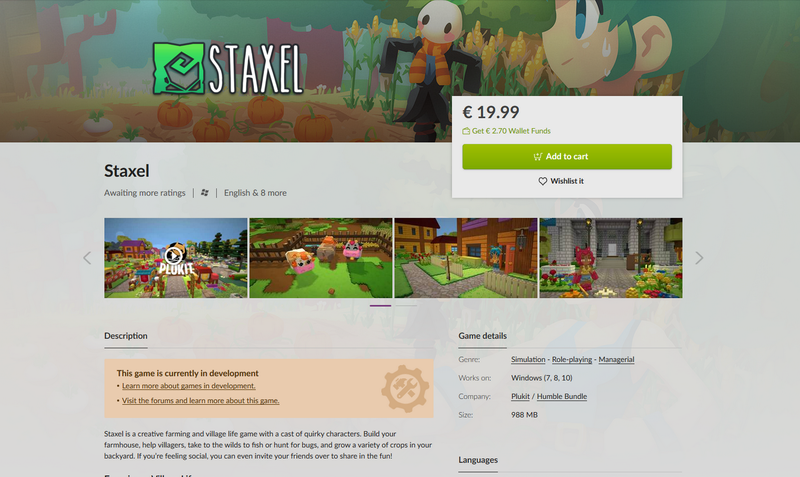 Back in January last year, we launched Staxel on Steam as an Early Access title, woohoo! This was our biggest moment to date, and we’re so pleased and grateful to be able to say that it was absolutely brilliant. Even at such an early stage of content development Staxel was received well and it was great to see so many people showing their support and leaving kind comments on what they thought about the game. 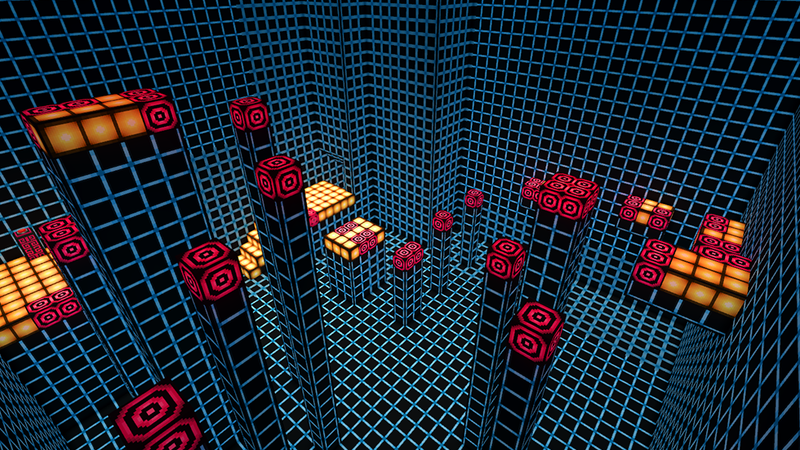 It really gave us the motivation to continue developing Staxel over the past year, which brings us to our next point. Since release we’ve added quite a bit to the game, the village has undergone some major changes in particular. And much more that I can’t remember off the top of my head. The last few months however have been focused on the upcoming “Magic Update” which we’ll talk about a little below. It’s been a little while since the “Friendship Update” went out, and since then we did take a couple of months to focus primarily on fixing some of the most widely-reported bugs people were coming across. There’s still a little ways to go on that front but recently we’ve been working on what we’re calling the “Magic Update”. This update has quite a few surprises in store, although no prizes for guessing it’s going to introduce an element of “magic” to Staxel (more on that in a future issue of the Reporter). We’ll be covering the last point in a bit more detail with another (short) issue of the Staxel Reporter in just a couple of days! There’ll be some screenshots too, so make sure you don’t miss it. That about wraps it up for this issue of the Reporter. Thank you all once again for all your amazing support, we wouldn’t have come this far without you! Level Of Detail changes now smoothly fade in. Changed model of an old duplicate Tracter Double Bed and hidden it from catalogues. Added a button to rename worlds without loading them. LOD holes have been fixed. Fix caret position in the World name box being reset to the end all the time. Hardening towards certain Dialogue crashes. Some hardening towards save corruption. More retrying and hardening when loading files. Don’t have the server crash if world facade goes null. 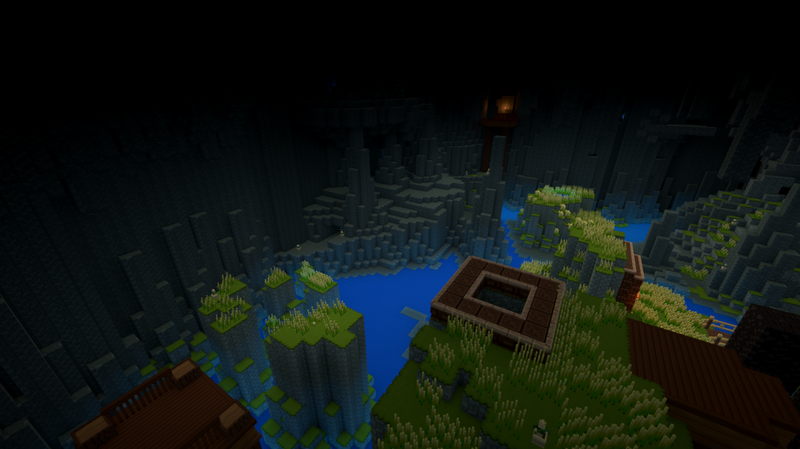 Suppressed some old world exceptions to do with bugs. Fixed on the spot now. Fixed multiple inventory full sounds happening at once. Fix some crashes with StaxelNet. Fixed a crash when the renamer was used yet wasn’t the active item. Items from mods that have been removed should be replaced with a “Missing Item” item. These should turn back into the original item, if added back in. 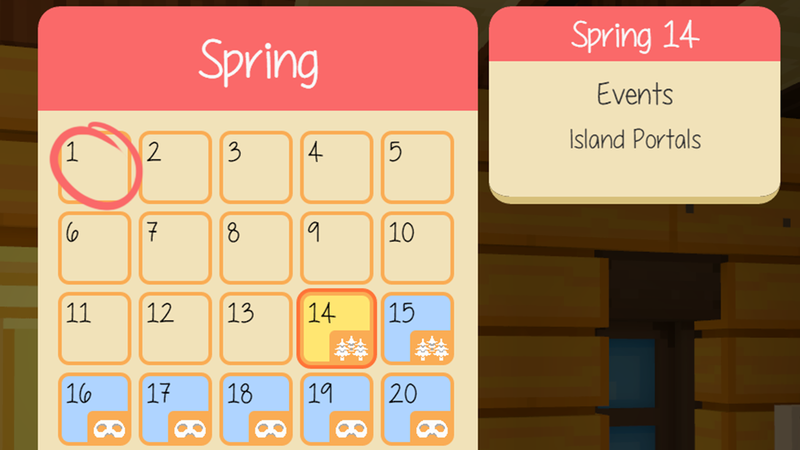 Content Builder checks sounds exist on Plants and Tiles. Content Builder error messages should now provide all of the details upfront. Links in Content Builder error messages should now be clickable. Lighting fixes. Less black void. Show a warning prompt instead of kicking players with high amounts of lag. Signs… THAT YOU CAN WRITE ON. Prevent a case of accidentally closing the character creator on the first world load. Add a couple of lines to Farm Fan to stop her from referring to herself in third person. A prompt is displayed before stealing. Made the scarf on the shaved pink sheep match un-shaved version. Your view won’t be snapped back to your conversation partner all the time. Set the active inventory slot when moving items within hotbar. Instead of just between hotbar and inventory. Added a slight delay before getting the next hint in the night transition overlay. Changed arrows on dropdowns to a higher resolution version. Reduced delay in showing the dialogue progress hint. 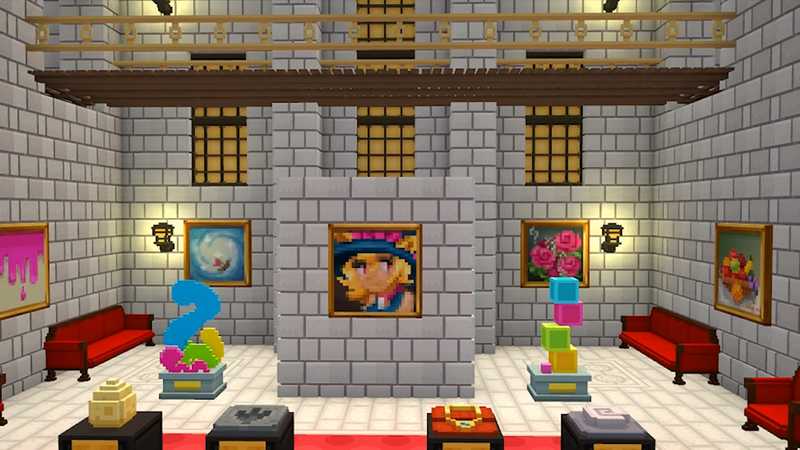 Use the randomized cobble tile when creating the town hall. Changed the mouse icon that showed up in dialogue. Changed some internal logic for key binding. Ensure that Steam Launcher brings Staxel to the front of all open windows. Hide the “allow friends joins” option on GOG version. Play with Friends button is also disabled. Moved the “Inventory Direct” keybind higher in the list. So it is next to other menu keybinds. Added Hay as a requirement to craft chicken coops. Allow multiple gog owners to play on a server using the same credentials. Unmappable key bindings are now more clear in the UI. Allow escape menu to be shown while in dialogue. Fancy chairs can be sat on now. Added a button that you can click on night transition to continue. 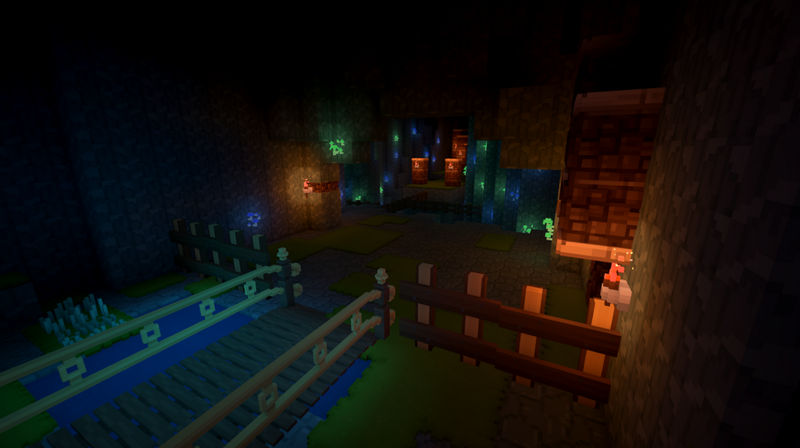 Added some methods to quickly update lighting before full information is received from server. Added extra protection for weird ui scale values. Fixed replaced tiles leaving behind compound fillers. This fixes some cases of invisible blocks. Fixed the screen growing past the monitor size, when switching from borderless to windowed mode. When a field gets assigned a null in json, ignore the field when parsing the blob. Fixes some weird issues. Don’t crash on CancelCharacterCreator if current design was not set yet. Track file access conflict issues on BinBlobDb with more detailed error messages. To find some unusual crashes. Fixed a crash for Docks when a dock is provided an item with no code or tile code. Fixed a float precision issue causing animations to not play at 60fps after 2 hours of gameplay. Don’t crash when saving, while feeder has just been spawned. Don’t throw an exception when muting a player for a second time. Don’t trigger selfie camera mode when using ALT+F4 to close the game. Don’t leak sound effect instances when skipping sounds. Avoid cleaning up GameContext multiple times, and solved some race conditions concerning cleaning up GameContext. Fix an issue with reloading pets. Several hardenings of code surround chunks. Hardening against null item stack exceptions. A fix was applied to some failures to directly connect to a player. Removed the server list from the client and server wizard. Fixed Cecile’s Model showing a different skin tone on the shoulder. Certain DLL’s are now blocked from loading. This is to stop issues with certain old mods crashing the game. By default, Mod Manager only asks to update mods if you own the mod. By default, Mod Manager does not ask to run content builder on new versions of the game. Both options above can be turned off by finding the file in the /mods/ folder. Fixed villager definitions being outdated in Asset Manager. Fix Modmanager not detecting that some mods needed to be uninstalled before being reinstalled. Should fix cases of files being left behind. Added Mail definitions and Quest Definitions to the Asset Manager. Check if files are missing from the bundle after Mod Manager does its checks.